Another lovely shot, you've caught those terrific starburst sparkles on the water very nicely. Great shot Mike. 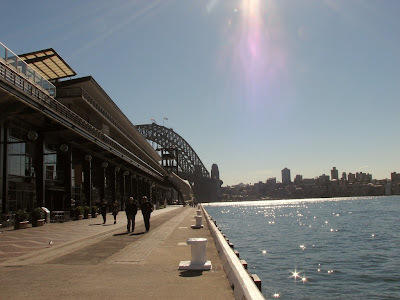 I've visited Sydney a couple of times and I love looking at your photos to see if I recognise any of the places and even if I don't, you always manage to capture an aspect that I wouldn't even notice if it was me with the camera! Hi LE, many thanks! If there are any places you want to see, let me know - although I havent't ventured too far lately!